The window was cracked open just enough so I could smell the ocean and hear the squawking seagulls outside. It was March so I also had the fireplace blazing to offset the chilled air coming from off the water. I was alone, in a hotel room for two nights with the primary mission to finish the proposal for what is now almost a real book. Somewhere between the marketing plan and the recipe list I got an email from Kimberley Hasselbrink of, The Year in Food. She was asking for a bit of advice on how to write a proposal. At that point (and possibly this point too) I felt in no place to be giving advice but I gave her what I got and needed from my husband and close friends throughout this whole book-making process – a cheerleader. Someone to say, “you got this! Keep writing. It’s going to be amazing!” Because I think that maybe genius is maybe more like 1% inspiration 69% perspiration and 30% cheers, hoots and hollers coming for your cheering squad standing right beside you. I’m sure Thomas Edison would agree. Well, Kimberley it is amazing. Your book, Vibrant Food, is full of inspiration. You have me both running to my camera to work on taking better images and into the kitchen to whip up one of the many recipes that I’ve already creased the corner of the page. Girl, you did it and you did it real good. This salad sits right next to another in the book that I can’t wait to try but this one went first because I had all the ingredients already in the fridge and cupboards. 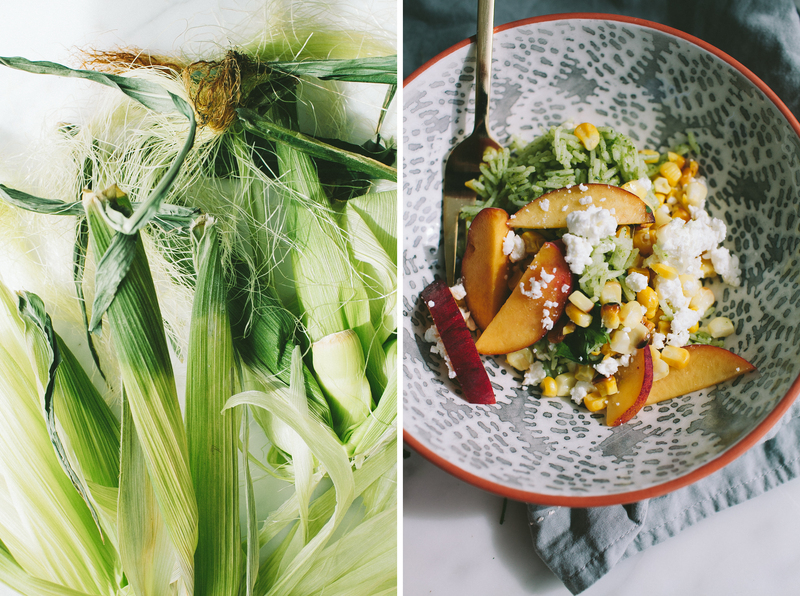 It’s simple to make, bright and full of flavor and screams summer from the corn to the nectarines. Also, it tastes great even after a night in the fridge, which scores big-time salad points in my mind because good salads that keep are hard to come by. Somehow it’s both hearty and light and since my mind is still on picnics I think this salad would make a mighty fine picnic addition. In a small saucepan, combine the rice and water, cover, and bring to a boil. Lower the heat and simmer, covered, until the liquid has been absorbed and the rice is tender, about 30 minutes. Let the rice stand for a few minutes, then fluff. Set aside to cool to room temperature. To grill the corn, lightly oil both ears of corn and place in a small baking dish. Broil about 6 inches from the heat, turning every few minutes, until golden and blackened in spots, 10 -15 minutes. Transfer to a plate and set aside until cool enough to handle. Using a large, sharp knife, cut the kernels from the cob to yield about 1 cup. If you have more than this amount, save it for another use. Transfer the kernels to a bowl and toss with a pinch of salt and a squeeze of lime. Set aside. Transfer the rice to a large bowl. 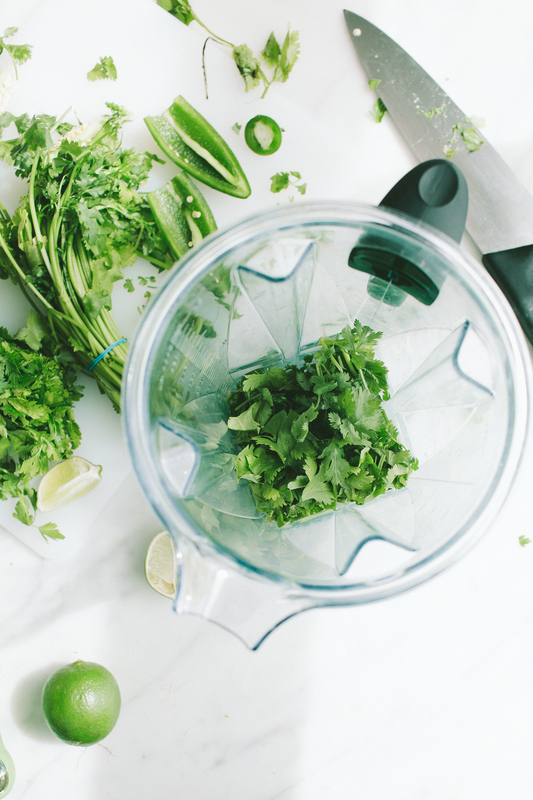 In a blender, combine the cilantro, parsley, jalapeño, lime zest and juice, olive oil, a pinch of salt, and 1 tablespoon water. Blend until smooth. Add up to 1 more tablespoon of water to thin the sauce if it’s too thick. Spoon the mixture over the rice, scraping any remaining sauce out of the blender with a spatula, and mix until the rice is evenly coated. To finish, add the corn and additional parsley and cilantro to the rice. Toss to combine. Transfer the rice to a serving platter. 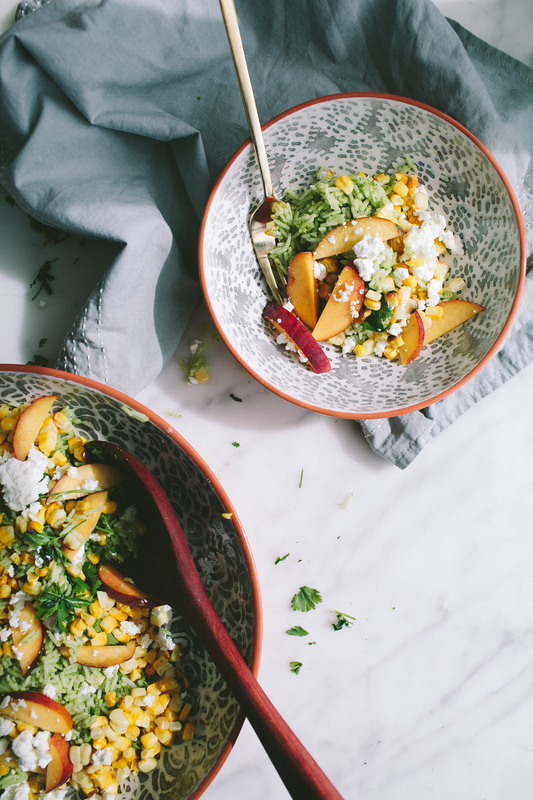 Sprinkle the nectarines and queso fresco over the rice in even layers. Garnish with additional parsley and cilantro. Best served immediately. Can be made up to a day in advance;bring to room temperature before serving. I’m so excited for this book!! And this recipe is the perfect sneak peak into it! Looks so delicious and love the vibrant colours! True inspiration with the green rice. Hmm.. has given me ideas! This salad sounds spectacular – just what I would expect from Kimberley. What a gorgeous salad! I love all that beautiful color. SUCH a bonus that it keeps well, too – perfect for nibbling on throughout the week! I’ve just discovered you and I’m so happy that I did. Your recipes look fantastic And your photos are something to study for a neophyte such as myself. I am always on the lookout for new and exciting things to make. I definitely agree we all need a cheerleader. It’s nice you were able to be one. 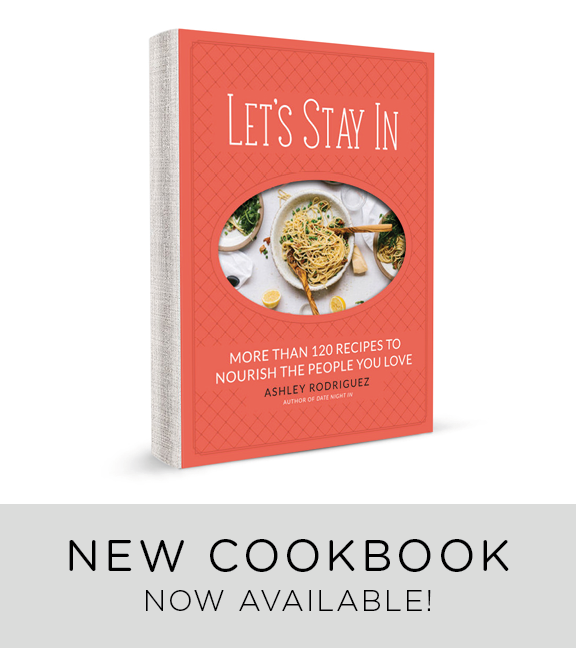 The book sounds amazing and this recipe looks fresh and tasty! This looks amazing!!! Wow. Totally gorgeous! This salad is indeed fabulous. Just the green rice alone is fabulous, although I’ve never had it as a salad. Perfection!!! 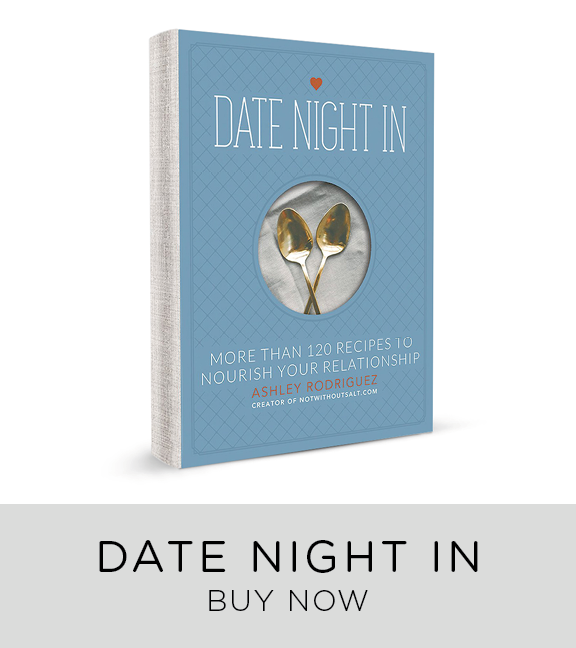 the book must be amazing with recipes like this! a perfect summer meal. Oh my word this salad is perfection!! So summery, so colorful and I am sure SO yummy!! I am just SOOO obsessed with this beautiful book from Kimberley, I cannot get enough. This sounds amazing – making it this weekend! Used nectarines in a caprese salad (from Kitchen Konfidence) and fell in love. They are amazing in salads. This is everything. 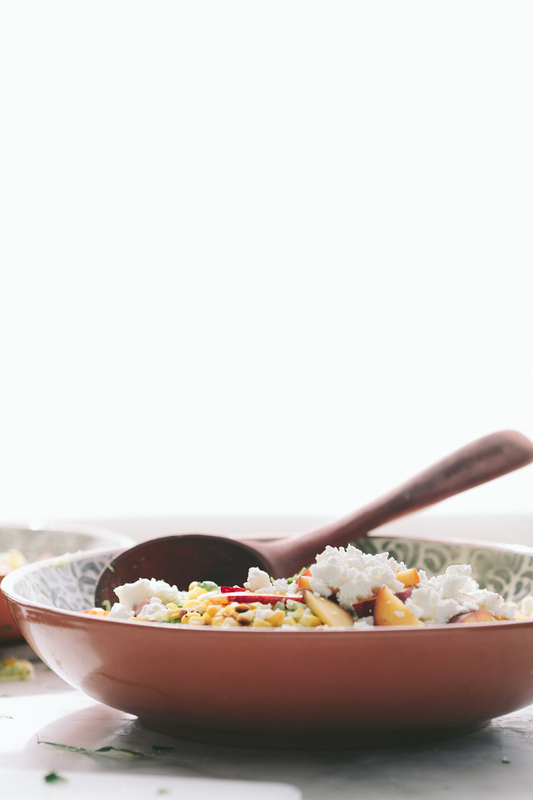 I want to make green brown rice but everything else in this salad is so so perfect for summer. This one uses brown rice too. I used white because I had some already cooked. I’m sure it’s even better with brown. So pretty! I’m always looking for new ways to make rice. Thank you so much for catching that! Yes, it’s actually 1/4 cup. I don’t even know if I’d get past making that green rice- it sounds amazing! I’ll be making this as soon as I get some decent nectarines! Very colorful and so healthy.. I’ll try this too! oooh super yum. The thought of nectarines has me all excited. PS: just read your motherhood post from a few weeks ago and it got me all teary-eyed. This was delicious!! I am wary of cilantro, but it was perfect with all the other flavors. I used feta, and served it with slices of pork tenderloin and it was an excellent summer weeknight dinner. Thanks for sharing the recipe and inspiration! This looks fantastic. 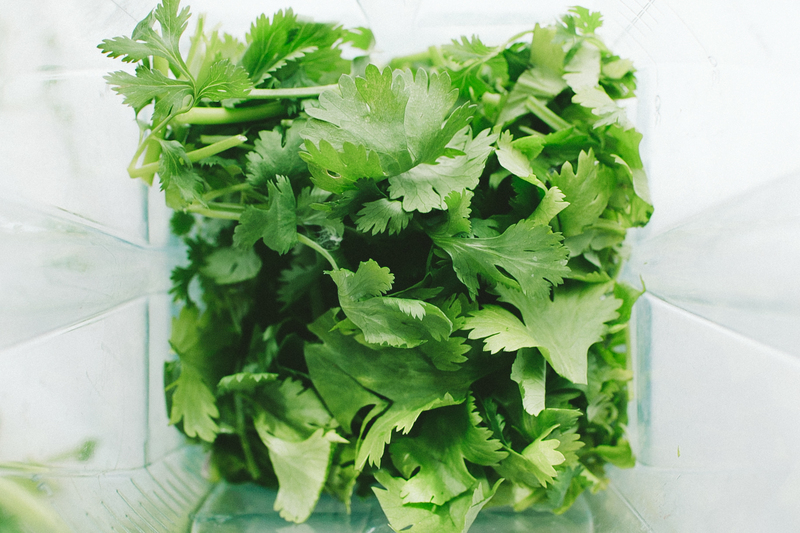 I love cilantro, but the rest of my family hates it – do you have a herb alternative? Parsley? Sage? I work in a hostel and i made this for 12 people as an app for supper today. While I had to make some substitutions (white basmati because it was already cooked in the fridge – mangoes and apples instead of nectarines because the nectarines in the store were rock hard) it was absolutely delicious!! a much better and more interesting way to use up cooked rice than the ever present fried rice we make here. Thanks for the inspiration! I received a preview copy of the book and this is the first recipe I wanted to make!!! Will most likely make it on Friday. Yours looks gorgeous. Great article! This salad looks fantastic, I’m getting hungry just by seeing these stunning pictures! :D Thanks for sharing this recipe, I will definitely give it a shot! It looks perfect for hot summer days. Wow, this will be a nice treat, thanks for the recipe. Love it! I want to try cooking for myself. Wow! Nectarines in caprese salad – so simple – I’ll try it this week! 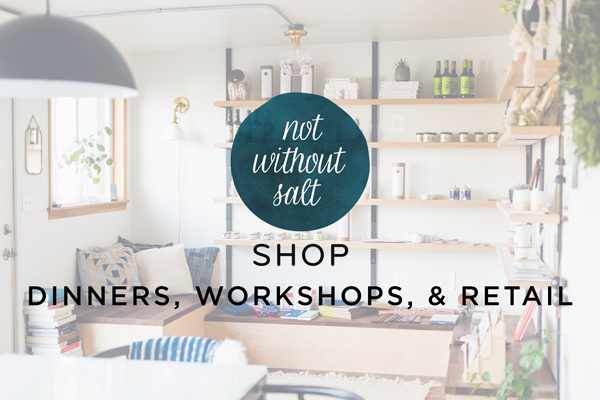 Hey, just this month I started a website to allow people to host dinners in their homes to travelers or locals – either for fun or for extra money, and it seems to be taking off well! 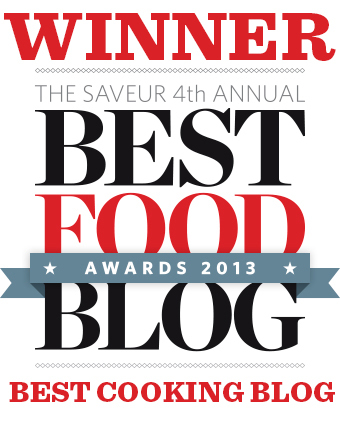 With so many other foodies following your blog, I thought some of you might like to try! The online service is free – it’s http://www.purpledinner.com. I’m having a crowd over to celebrate a my grandchild’s first birthday this weekend. I will be making this beautiful salad. And tonight I’m making the salted chocolate cookies – for me! This is a fabulous dish. I grilled the corn on the grill earlier in the day so that I could have it on hand for putting it all together. Unfortunately my blender didn’t really process the herbs down to a “sauce,” but it was mixed enough that I added it to the rice. 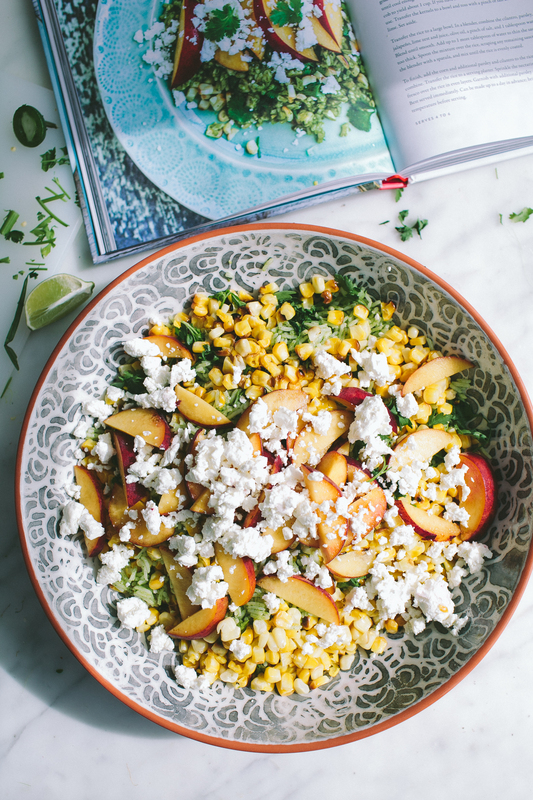 I loved the nectarines and queso fresco – sweet and salty on top. Wonderful flavors for summer!! !